Systematic under-eating and eventual progression toward a “living on light” diet would be very difficult without first following through an overlapping series of logical steps in combination with advanced spiritual development, meditation and breath control: 1) health food “vegetarian,” 2) raw food & antioxidants, 3) high antioxidant raw food liquidarian, 4) negatively ionized water and air, 5) ojas, prana from nature, sunlight and astral substances, 6) mental and causal energies, and 7) celestial being (light). However I must warn that for nearly everyone, the above listed evolutionary changes as becoming a “Light” eater never occur overnight nor is it for everyone, but only for a select few who have advanced yogic/spiritual tendencies. Even the famous but controversial Australian metaphysical author of “Living on Light” Jasmuheen still has to eat very lightly or drink something from time to time. Her constitution, way of thinking, her highly evolved state of loving spiritual awareness and divinization of her body cells due to her lifetime connection with spirit has allowed her to enjoy and even thrive on long periods of fasting and/or extremely light eating. Jasmuheen is a beautiful example of spirit transforming matter into a finer expression of divine love and of living mainly off pranic forces. WARNING: NOT ONLY IS THE CONCEPT OF “LIVING ON LIGHT” HIGHLY SPECULATIVE, (AND INCLUDED HERE FOR INSPIRATIONAL PURPOSES ONLY), NEVER OVERLOOK ANY VITAL STEPS BEFORE ATTEMPTING TO “LIVE ON LIGHT”! LOOSING LOTS OF WEIGHT TO THE POINT OF ANOREXIA, LOSS OF STRENGTH, LOSS OF MEMORY, IRRITABILITY, DIZZINESS, ETC. ARE COMMON SYMPTOMS WARNING THAT ONE HAS BYPASSED SOME MAJOR, ESSENTIAL STAGES! CAUSING ONESELF TO SUFFER IS ALWAYS WRONG! According to Jericho Sunfire, a self-described breatharian and founder of the Inediate Society, one needs to take at least fifteen years to make the proper transition. He states one first must eat only vegetarian and vegan for the first five years, then five years 100% raw food, then the last five years fruitarian and liquidarian. The process must be G-R-A-D-U-A-L and that is the key. Far too many get the wrong information and try to be breatharian overnight, or in too short of a time period, making themselves sick, way too skinny and even getting themselves hospitalized or worse, dead. The human body can do almost anything if given enough time to adapt to whatever change forced apon it. It is only when not allowing enough time for the transition to occur naturally that one gets into a mess. Prahlad Jani was proven several times over and beyond a shadow of doubt regarding his ability to live only on prana. Amazingly, and most fortunately there seems to be a recent surge (as of 2010) in the number of breatharians living today from all parts of the globe and all walks of life in both urban and non-urban areas. I still believe however, that living in a vast area of deep forest bioplasmic (orgone) energies, botanical aromas and pollens is essential for lasting success. That is how delicate the process of living without food is! It is essential for one’s health and well-being anyway to be surrounded by wild, living plants, because the pollens and scents from trees, wild-flowers, herbs, etc. can be essential for preventing depression and even cancer. That is why I am so concerned about the continuing existence of rain forests and other natural places. Nature is infinitely delicate and infinitely subtle! In Paramhansa Yogananda’s Autobiography of a Yogi, he writes about the non-eating saint, Theresa Neumann who lived in a small village surrounded by plants in greenhouse like conditions, the breatharian yogi, Giri Bala who lived in a remote Indian forest, and the etherial Mahavatar Babaji of the Himalayan mountains who not only was above eating, but also physical existence! Because most of humanity has become so isolated from nature’s profound subtleties, mainstream science and religion has, very sadly, grown extremely closed minded against and quite cynical regarding any such possiblities today. They will, however be forced someday (hopefully in the near future) to realize how wrong they have been! Please Don’t Die Trying too Hard to be Breatharian! The tragedy is when an average person (often living in a polluted urban environment) reads one or two paperback books and/or listens to a few lectures on breatharianism then thinks he or she can simply stop eating without the consequences of starvation and death. Another danger is the one who is convinced nutrition is no longer important, and so becomes careless with one’s nutritional needs either by omitting certain essential foods or even worse, replacing healthy food with junk food! This is NOT to say that fasting is always wrong or incorrect, as fasting can be the perfect thing to do (for deepest meditations and spiritual/psychic development) between times of eating complete, fully balanced natural meals while hopefully living in a natural environment where the air is perfectly pure, full of life-tronic energy (orgone or bioplasmic), and filled with a wide variety of highly beneficial botanical pollens and plant aromas. 100% breatharianism, even though it might be possible under the right conditions, would be extremely unlikely for the average person to attain overnight especially if in any way cut off from nature. How would breatharian still be possible? If living in a city, town or any such urban area one would definitely need to first move as far away from civilization as possible and into a pristine mountain or rain forest environment (a dry desert with none or sparse vegetation, even though remote, might not adequately provide the ideal conditions either) and change one’s job or lifestyle to something more of a farmer, botanist, writer, psychic, and/or yoga teacher. It would be helpful to also spend many years perfecting and mastering the suspension of breath through highly evolved diets, celibacy, meditation and advanced yoga. Attaining a certain stage of samadhi, may also increase the possiblity of living without food. Having a strong connection with Spirit such as some way of communicating with spiritual guides and/or gurus from the spiritual realms would also be quite helpful, providing the advanced guidance, provision and help often essential for such an extreme endeavor as breatharianism. Those raised on materialistic mainstream education would tend to think that anyone who either believes in breatharianism and especially those who would try to achieve breatharianism to be a real nut case, or worse! This unfortunate fact is because they don’t realize that there is a universal force, power or principle (the Heisenberg Uncertainty Principle) that maintains the underlying foundation of all energy in the universe. Biology has evolved at least in part to have the ability to take advantage of this energy. The spiritual or most subtle and/or energetic aspects of one’s self can convert some of this energy into physical energy especially if living a yogic lifestyle in pristine natural surroundings and especially if given the years required to train one’s cells to become even more tuned to this internal zero-point energy. Even then, the extent one can actually fast may dramatically vary from individual to individual depending on one’s genes, background, spiritual evolution and level of yogic development. Whenever a sensitive person sits out in the wilderness in a very quiet space filled with pranic vitality (universal energy reduced to more biologically assimilative forms of prana via plants and trees) one may begin to hear a very soft humming sound deep inside the inner ear and feel immensely blissful, peaceful and energized. The phenomenon of this inner “music” is called the “Om” sound by most yogis. This sound is the interaction of prana and the chakras. It is the resonate “ringing” of the chakras in vibrational harmony with this universal Zero Point Energy or Holy Spirit. St. Matthew 4:4 claims: “Man shall not live by bread alone, but by every word that proceedeth out of the mouth of God.” Here, I interpret this scripture as referring to the primary vibrations of creation (again, the universal Zero Point Energy or Holy Spirit) where nourishing, healing energy “bubbles up” from the finer, more conscious levels of reality as sources of energy for the creation and maintenance of causal, astral and physical spheres and all the beings that reside within them. The “Word” of God is a source of inner, healing nourishment, bliss and higher consciousness for all. Jesus found great comfort and nourishment in the way of higher chakras from this subtle Divine Sound current during his long fast in the desert. 100% satisfaction, divine love and comfort are the road signs to follow. For those who feel called to do so, and only a very few people are (must be highly spiritually evolved), the transition toward “living on light” or “pranic nourishment” is meant to be a lifetime spiritual attunement process that is 100% comfortable leading to greater love, healing, liberating inner strength, magical inspiration and excitement! Conservation of vital energies, yoga, meditation, and deep, breathless samadhi should also be a natural part of this life-long transition. Having and enjoying the ability to live on pranic bliss is extremely healthy, beautiful and wondrous, however FORCING ONESELF TO UNDERGO RESTRICTED DIETS, EXTREME HUNGER AND CRAVINGS IS NOT ONLY UNNECESSARY, IT COULD CAUSE SERIOUS METABOLIC DAMAGE OR EVEN DEATH. Common sense, balanced nutrition, and a healthy respect for one’s body and soul’s true needs should be everyone’s priority. Some of the warning signs one is going about breatharian the wrong way and/or too fast: rapid heartbeat, rapid shallow breathing (breath should be slow and steady with periods of breath suspension into the bliss of God(dess), loss of strength, wasting away, dehydration, unpleasant moods, depression, anxiety, dizziness, confusion and extreme tiredness. 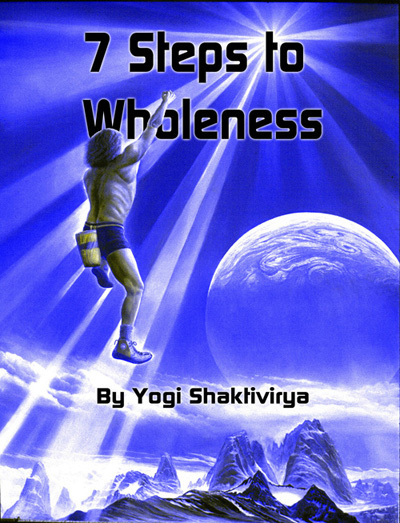 On the other hand, when properly developed and prepared, one can use alkalized water fasting, deep meditation on the inner sounds of God (Om), and the absorption of the Zero Point Energy or Holy Spirit as vital tools in discovering the “wholeness” we all long for. Go to: Ionized Water and the Breatharian Experience for the original website, YouTube videos, and images.